The phrase “not completely brain dead”, like “not completely pregnant”, has a Monty Python-esque ring to it. But it is the way the Daily Mail described an alarming organ transplant incident in the German city of Bremen. 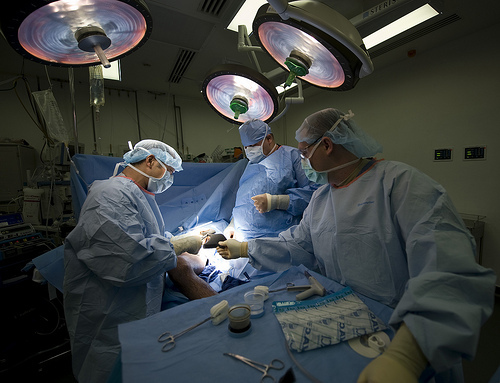 Doctors in a hospital in Bremen had already made an incision in the abdomen of a man who was presumed to be dead when they discovered that the deceased donor was still alive according to organ transplant protocols. The operation was immediately terminated – and the brain-damaged patient died. The incident is being investigated by the German Medical Association. The article above is published by and BioEdge.org under a Creative Commons licence. Here are excerpts from the original article in the Süddeutsche Zeitung German Paper If you go read it there, just translate it to English at the top of your browser. My takeaway’s from the German article which unfortunately happen’s here in the US but goes unreported. The case proves once again what critics have long admitted: The diagnosis of brain death is not secure enough in Germany. Doctors are not sufficiently trained in how they determine the loss of brain function in a patient correctly. So it always comes back to errors. Especially terrible was the idea that a patient whose brain still shows residual activity may suffer the pain of surgery and organ removal as opposed to a brain dead. Did he know he was going to have his organs harvested but couldn’t show anything to stop the doctors? Did he feel pain when the doctors sliced into his abdomen? You do know by now from reading my blog that anesthesia is NOT used. “Don’t cut me open — don’t hurt me! Let me wake up!.” While doctors hovered over her bed… discussing organ donation, Christina Nichole could hear every word they said – and their conversation terrified her.